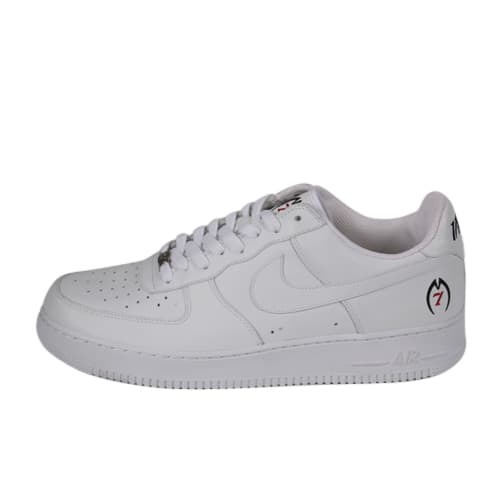 Nike Air Force 1 "Michael Vick"
"I got these from my man out in Chicago. Michael Vick is a dope player and even though he was going through all of that stuff I was still a fan. The only thing different between these and the all-whites is the tongue. He wanted his own shoe and the story that I heard was that he wanted his own pair of white-on-whites with an exclusive aspect. They made him two dozen pairs with the rounded tongue and Nike just gave them to him. He gave a pair to my man and my man threw it over to me."